Specially designed to handle the rigors of the Spring-over Samurai. They provide better ride, more articulation, greater durability, and 2" of more lift then the original stock springs. (spring bushings sold separately). Currently in R&D stage! Protype lift is built and testing. 6" or 8" Full Coil Swap! ​Stay tuned for production date. 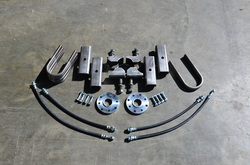 Everything you need to install a base Spring Over Axle Lift. Steering system and shocks are still required. 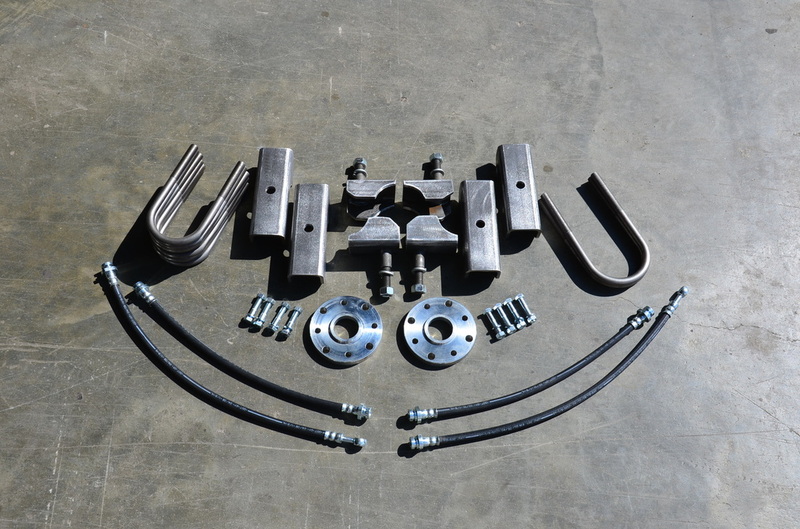 HD Spring perches, wrap around shock mounts, extended brake lines, driveshaft spacers, ubolts, and all hardware. Heavy Duty weld on fully boxed adjustable center pin spring perches. Needed when installing your Spring Over Axle Lift. Provides 4.5" of lift. 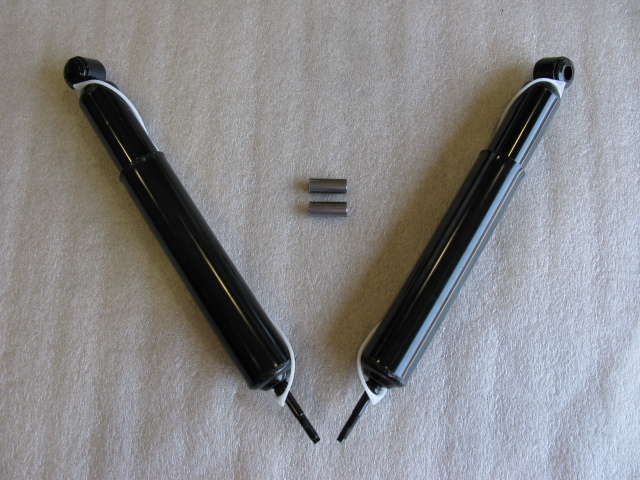 OEM Long travel shocks. We have them in a number of different lengths to accomdate most lifts. We use an oem style shock because we find it to be the most durable and offer the best ride quality available. When lifting a Samurai you need extended brake lines so you don't overextend the stock lines and have them break or fail. Both front and rear for all lift heights. Replacement U bolts for when lifting your Sami. Heavy Duty stock replacement Bone Shackles. Replace those stock flimsy shackles with these good looking heavy duty units. 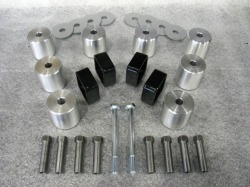 Available in stock length and 3/4" of lift. For when those stock spring bushings fail and dry and crack, these are the replacements. 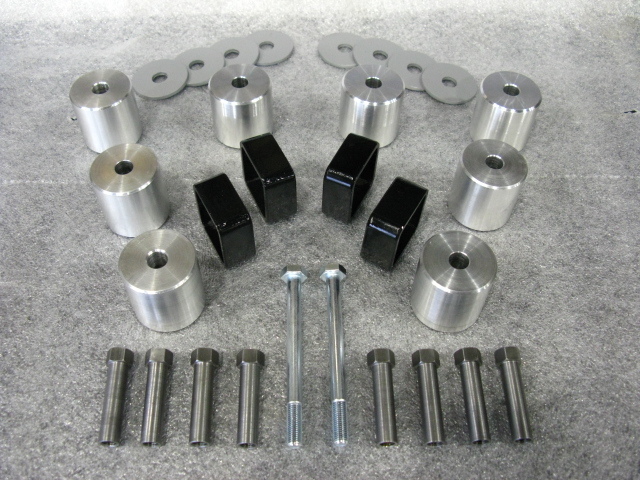 High quality polyurethane replacement bushings made by the leader in the industry, Energy Suspension. Best on the market today. One kit does one axle.